Getting around Grove City and Central Ohio couldn’t be easier. You can get where you need to go by car, bike, bus, foot, or a combination of modes! For more information about getting around Central Ohio, download the printable transportation guide. Consider starting your trip at our Grove City Visitors Center. Located at 3995 Broadway, it is the place to find maps, local information and more tips for getting around. Cyclists can safely get around Grove City and Central Ohio via the extensive network of bike trails, bike infrastructure, and multi-use trails. 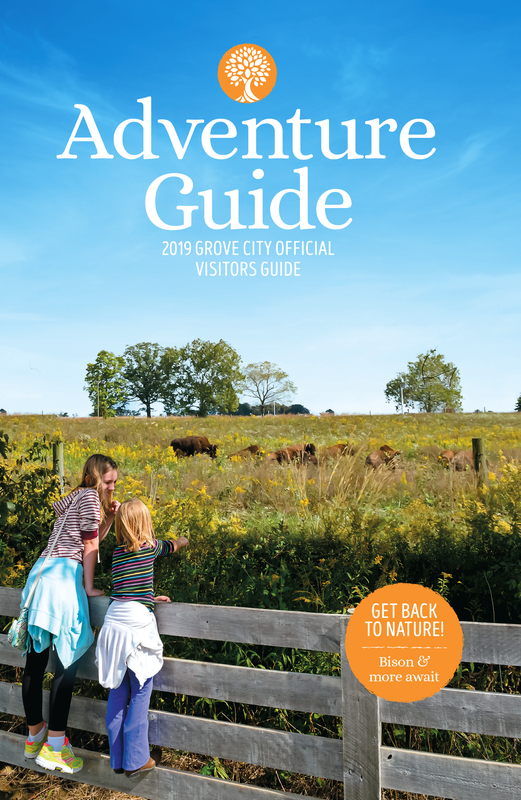 Download the Grove City Trails Map or check out the Columbus Metro Bike Map. You can also pick up printed copies of both maps at our Grove City Visitors Center. If you’re in need of a tune-up or other bike service while you’re in town, be sure to visit Grove City’s local bike shop, Heritage Cycles. The Central Ohio Transit Authority (COTA) operates several bus lines that run in Grove City. Find all the bus schedules and a handy trip planner here. Getting around by bus is a very budget-friendly option; one way fares are as low as $2 and day passes are as low as $4.50. There is also a COTA Park and Ride location on Stringtown Road in Grove City. Getting to and around Grove City by car couldn’t be easier. Grove City is located within a day’s drive of about half of the U.S. population. Conveniently located just 7 miles southwest of downtown Columbus, Ohio, Grove City is accessible by the following U.S. and State Highways: I-71, I-270, and US62/SR3. Get real-time Central Ohio traffic updates via OHGO. Grove City is served by several taxi services, including Yellow Cab of Columbus and Columbus Taxi. Lyft and Uber are also options to get around. Grove City is also home to car rental services, Enterprise Rent-A-Car and Hertz. Centrally located, John Glenn Columbus International Airport is a full-service international airport serviced by all major air carriers. The airport is operated by the Columbus Regional Airport Authority, which also oversees the operation of cargo-dedicated Rickenbacker International Airport and general aviation airport Bolton Field.